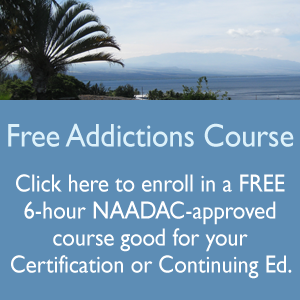 For those of you on the neighbor islands, Hawaii Alcohol and Drug abuse Division of Department of Health is now allowing qualified candidates to test for Certified Substance Abuse Counselor exam at University of Hawaii campuses via computer now. One of my grads was the very first to test on the Big Island this way in June. She passed the exam with flying colors and is already seeing patients independently for substance abuse evaluations as of today!